Jo is Head of Pastoral Curriculum and Senior Teacher at PGS. 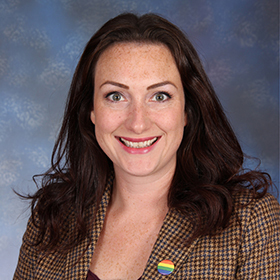 Jo has been invited to speak at HMC, The AYPH, Stonewall, universities and schools on issues including gender, sexuality, RSE and PSHE. She has also authored several articles for Virgin Unite, SecEd, The Education Support Partnership and Insight (HMC). Jo is passionate about celebrating difference in schools and providing high quality and relevant RSE which meets the needs of all pupils. Jo is involved in teacher training, producing resources and local outreach. In February 2018, she hosted the national EnGendering Change: A Symposium on Gender and Sexuality for Educators.